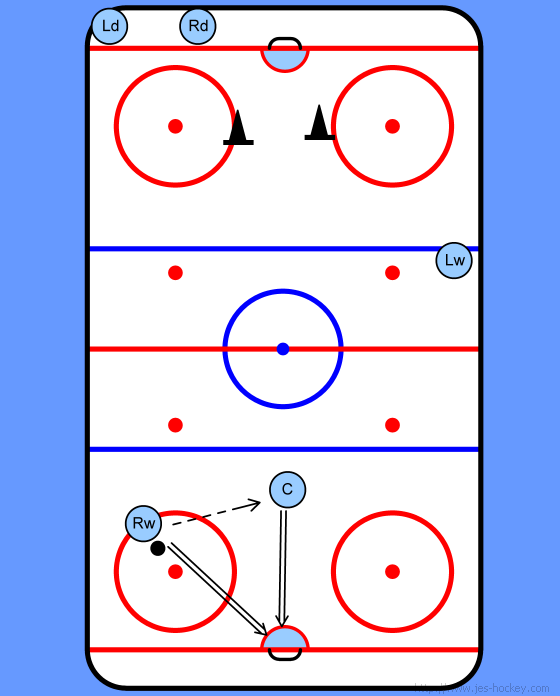 Each sequence starts on the Coaches whistle. 1. The RD goes behind the net and makes a pass to the RW. 2. RW makes the breakout pass to the center and they go in on a 2 on 0. 3. 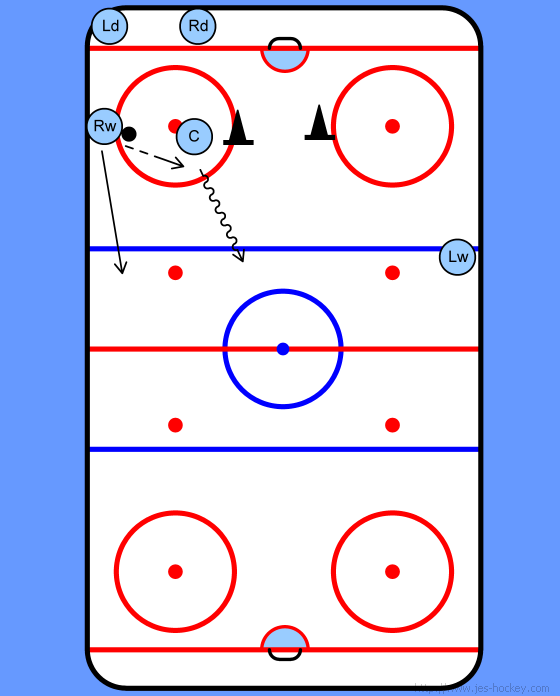 This drill will alternate from side to side. Key here is letting the kids get used to the timing. 4. Make sure they stay spread out on the 2 on 0. 5. 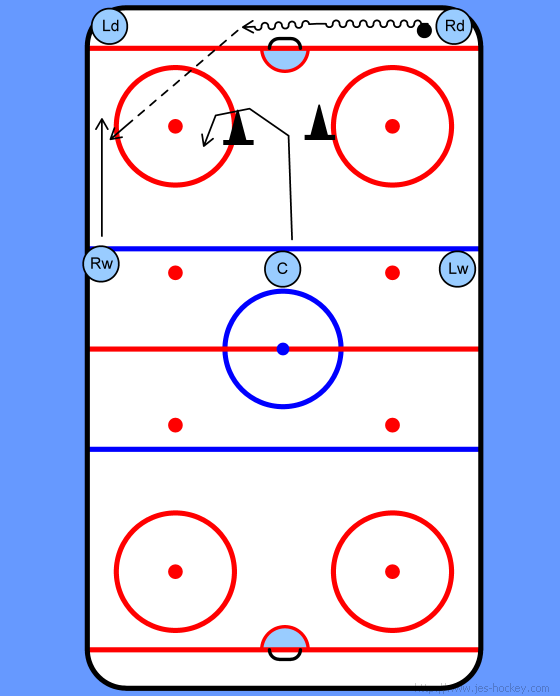 Because it alternates from side to side either make sure that the Centers hurry back to their line or you can allow the players to alternate between all of the lines.